Live Webcast of the MathCounts Annual Competitiooooon! These middle school math wizards play for keeps every year in a live webcast competition that New Media Mill has produced since 2008 for thousands of “mathletes” who do not make it to finals. This is one of those events that must have a two-pane player. The moderator, Lou DeGioia, often does not complete the question before the competitors buzz in to blurt out the answer. How can these middle schoolers compute like that in their heads? We still do not know. 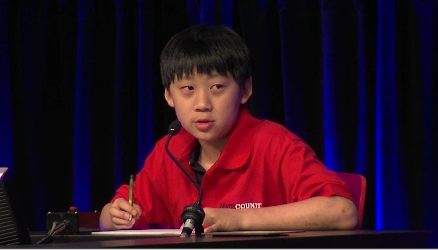 But the without that second pane showing the questions…the MathCounts audience would never know the question. Take a look and you will see what we are talking about!